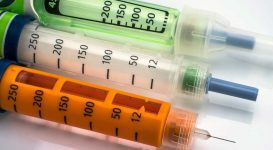 Insulin can be a frightening, painful, and a troublesome form of medical treatment for many people. To determine if this potentially lifesaving therapy is best, if you suffer from type 2 diabetes, you need to be well informed. Let’s examine the common myths surrounding type 2 diabetes and insulin. Fact: Not always. Approximately 90 to 95 percent of all people with diabetes have type 2 diabetes, which is a condition that does not always require insulin. Around 5 to 10 percent of people with diabetes are type 1 and do need insulin. According to the CDC, only 14 percent of adults with diabetes use insulin, 13 percent use insulin combined with oral medication, 57 percent take only oral medications, and 16 percent control blood sugar with diet and exercise alone. The goal is to get blood sugar into the safe zone by any effective means. Fact: Completely false. Many people will still need insulin even when they adhere to an exercise regime, diet, and lose weight, according to endocrinologists. Because type 2 diabetes is a progressive illness, over time you may need to change what you do to make sure your blood sugar is in a healthy range. Exercise and eating right will always be a priority, but medication needs can fluctuate. Diabetic experts do not consider it a failure when type 2 diabetics need insulin. Fact: Again, not accurate. Insulin injections are applied with small, fine needles, rendering them virtually painless. 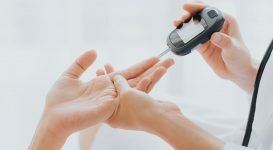 Surprisingly, finger pricks used to measure blood glucose levels hurt more than insulin injections, and you may not need to use syringes at all to administer the insulin. Injector pens are even available that allow you to dial the dose, snap on a tiny needle, and inject insulin pain-free. Fact: Though possible, not probable. Hypoglycemia (low blood sugar) tends to be lesser a risk for people with type 2 diabetes than those with type 1. A loss of consciousness or coma results from a prolonged episode of low blood sugar. The symptoms are easily recognizable to most people with type 2 diabetes, including, shaky hands, sweating, anxiety, and an urge to eat. Low blood sugar can be quickly reversed by consuming a bit of sugar such as diluted juice, a few Life Savers, or glucose tablets. Fact: Not always. How much damage diabetes has done to the insulin-producing cells of the pancreas is the primary factor. 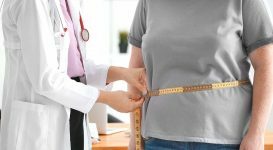 Some individuals who lose a lot of weight (through bariatric surgery or naturally) may find that they no longer need insulin, while others may still need it who lose weight. Insulin can be needed temporarily, such as right after a diagnosis or during pregnancy, whereas others may need to indefinitely stay on it. Fact: It is now easy. Insulin injections previously were difficult to administer and cumbersome. According to most primary care providers, pen injectors are now available, and these devices require no refrigeration, are easily carried, can be used discreetly, and are often dosed just once daily. There are a large variety of insulin and insulin regimens that are much more convenient now than in previous decades. Fact: Oral diabetes medications do lower blood glucose levels. 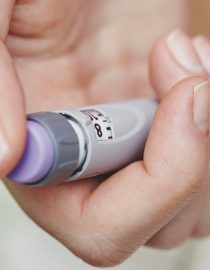 For some people, insulin is the simplest and best method because it always works. Some people, however, respond to pills but others do not. Metformin is one example of many pills that have been used for years and are very safe. However, not all oral medications have a tried-and-true safety record. The FDA restricted Avandia because of research suggesting that it ups the risk of heart attack, for example. Fact: Possibly. After starting insulin therapy some people with type 2 diabetes do gain weight. When the body begins to process blood glucose more normally due to the diabetes treatment, the result can be weight gain. This is one reason unexplained weight loss can be an early symptom of diabetes. However, weight gain is not caused by the insulin therapy. Usually, this slight weight gain is only temporary. Fact: This isn’t true. Hyperinsulinemia is a condition of higher-than-normal production levels of insulin earlier in the course of type 2 diabetes. Type 2 diabetes is caused by a condition in which the body loses the ability to respond normally to the hormone, called insulin resistance. Naturally occurring insulin production does decrease over time and taking insulin shots can help overcome insulin resistance. Fact: False. Regardless of how you treat it, so few people realize that diabetes is a serious condition. You may think you have a mild condition because you feel fine or ignore symptoms like fatigue or thirst. The truth is, however, high blood sugar damages the heart, kidneys, eyes, and nerves. Whether it takes diet, exercise, pills, insulin, or all of these combined, making sure your blood sugar is under control is imperative. Fact: Not necessarily. Once-a-day insulin mimics the low level of insulin normally found in the body all day long. For some, this will control blood sugar on its own, or otherwise it can be combined with oral medications. Also, some people’s blood sugar may still be too high after meals, and insulin just before eating, or several times a day, is necessary. Fact: Not according to experts. 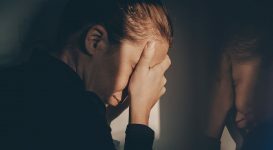 Wasting too much time undergoing treatments that aren’t getting your blood sugar under control isn’t wise, because high blood sugar is very toxic and can up the risk of heart attack, stroke, and other problems. 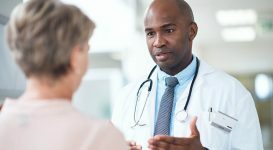 Endocrinology professionals recommend that by the time a person with type 2 diabetes starts on insulin therapy, they are likely to already have diabetes-related complication from years of uncontrolled glucose levels. 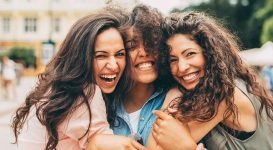 Oral medications may work better and be effective longer, or allow you to use a less-complicated insulin regimen for a longer period of time, especially if you start insulin sooner. Ms. LaWana is a certified member of the American Medical Writers Association, and she is the team leader at iMedical. LaWana is a family nurse practitioner who is finishing her Ph.D in health psychology. In addition to her health communications work, LaWana provides medical aesthetics services, including permanent cosmetics, botox and anti-aging facial rejuvenation procedures. LaWana writes for many health websites and physician practices, including BrainBlogger.com and SteadyHealth.com.